It's Awards Season for blogs again! Remember when I got nominated for a blogging award before? 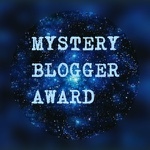 Anyway, this time it's The Mystery Blogger Award and I was nominated by Sue Bursztynski from The Great Raven. Sue, I thank you. 3. Thank whoever nominated you and link to their blog. 4. Mention the creator of the award (Okoto Enigma) and provide a link as well. 6. Nominate roughly 10 – 20 people for this award. 7. Notify your nominees by commenting on their blogs. 8. Ask your nominees five questions. 9. Share a link to your best/favorite post that you’ve written. So, I have to link to Okoto Enigma's blog, which is right HERE. (Pardon me, I'm doing this a bit off-the-cuff). 1) I have a niece and a nephew who I love to pieces. I'm not going to give out any names in the interest of internet anonymity. 2) I currently work for the State of New York. On top of that, I come from a family where a number of other people either did or currently work for the State of New York. It's a dynasty of civil servants. 3) I am a huge fan of classic monsters. My favorite monster movie is The Wolf Man while my favorite gothic fiction novel is Frankenstein by Mary Shelley. As for my favorite post that I've posted, I like the Fairy Tale Mixtape one for the little trend it started. I don't think I'm going to be able to follow all these rules. I can't think of any questions to ask anyone. And I don't follow 10 blogs that I could nominate. Most of the ones I would nominate are ones that you've already nominated. If I did pick any, it would be Amy, Kristin, Gypsy, Csenge and my usual circle of online friends. But thanks for the nomination, Sue. It's appreciated. I’ve been meaning to post on this topic for a while. I thought folks would like to know where I find the stories I post about or use for storytelling. The truth is that it often does take some searching around, but an experienced tale hunter has his resources. So, let’s get to it. Book stores- I wanted to start with book stores because they’re where I first bought some of my earliest folk tale books. There is one problem, though. The brick and mortar book stores near me are almost a depleted resource. When I first started buying books of folk tales, I could find all sorts of great books from different regions of the world. 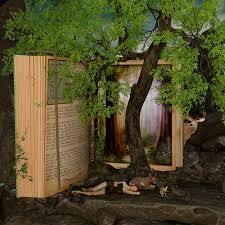 It was especially easy to find books from the Pantheon Fairy Tale and Folklore Library. However, over time and with the closing of Borders, the choices have dwindled. Now you’re most likely to just find the usual collected works of the Grimms or Andersen. Sometimes you might be able to find some newer releases like the most recent translation of The Tale of Tales or The Turnip Princess. It might be different in your neck of the woods. Public Library- I will never say a bad word about the public library. It is one of the best resources to have around. And every tale hunter knows that the place you have to look is nonfiction call number 398.2. With a lot of larger public libraries looking to develop balanced collections that serve their unique community, you can often find some interesting stuff. There is one thing that must be remembered about getting your tales from books in the public library: you have a deadline. No matter how many times you renew that book, it will eventually have to go back. If you’re going to do something like develop a storytelling performance around a story or write a blog post about it, you’ll probably want to act fast. Either that or make photocopies of it (the photocopier also conveniently located in the library). If you’re the type who lets stories percolate at the back of their mind until inspiration strikes, you might want to use your first trip to the library as a starting point. You can jot down the title and editor (folk tale books usually have editors or collectors rather than authors) and keep it in mind to get out of the library again or search for your own copy to own. Where would you find your own copy? Well, that brings us to . . . The Internet- Yes, the World Wide Web has connected us all and made it a lot easier to connect to folk tales all over the world. 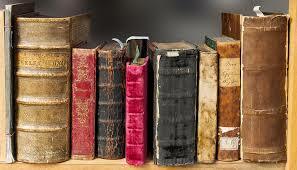 When buying books, there’s always Amazon and Barnes & Noble websites. But there are also sites for used books like half.com. But then, there are also online-only collections. Some of the notable ones I’ve used are Sur La Lune Fairy Tales, D.L. Ashliman’s Folktexts, and Fairytalez.com. Some can also be found in the Sacred-Texts Archive. These are all great resources but keep in mind that you may want to have a printer handy. That way you can take your story with you if you don’t have a portable device handy and write notes in the margins if you really want to. Kindle Store- Speaking of the internet . . . I don’t know how many people out there reading this have e-book readers (which is a flawed name. The device isn’t so much a book as a portable library). But searching the kindle store has regularly turned up some good books of tales from new places. One nice bonus, is that some books can be found in the kindle store for free because they’re public domain and they’ve been digitized onto the internet already. Keep in mind that the quality and usability of these older books may vary. Also, some of them are very much a product of their time. I specifically recall reading a book of tales from Spain and Portugal that I had downloaded and being rather surprised how many racial slurs were in it. Still, it’s a good way of finding folk tale books that may be long out of print. Other Storytellers- Yes, there’s the obvious folk concept of hearing a story told by one teller and liking it so much that you just have to tell it (with permission, of course). But that’s not necessarily what I’m talking about. You see, there has been more than one occasion in which I’ve walked into a Story Circle meeting to see books just laid out on a nearby table. What this means is that either another storyteller in the group is cleaning out their collection or they’re helping clean out the collection of a friend. Either way, they just can’t bear to throw them out or donate them without seeing if someone else wants them first. I’ve gotten some good books on these occasions. It’s thanks to other storytellers that I have The Fairy Stories of Oscar Wilde, Fairy Tales of Frank Stockton and The Peacock Maiden (I’m especially glad to have that last one because folk tales from China are not easy to come by). Now, it doesn’t necessarily have to be a storytelling meeting, though. If you run in similar circles, there might be similar chances to pick up some new folk and fairy tale books. Cultural Festivals- I’ll admit, I’m probably under using this resource, but one of my favorite little-known places to pick up folk tale books is the local Polish Fest which happens one weekend a year in my hometown. While the Polish Fest is a good place to access a number of things, including polka dancing and plates of kielbasa and pierogies, my favorite part is the vendors. The vendors sell all sorts of things related to the Polish and Polish-American experience ranging from clothes to artwork. However, I’ve found one vendor that sells books of folk tales from across Eastern Europe. It was from the Polish Fest that I’ve bought Roumanian Fairy Tales and Legends, Polish Fairy Tales, The Key of Gold (a book of Czech folk tales) and Fairy Tales of the Russians and Other Slavs. They also regularly have a copy of Pantheon Press’s Russian Fairy Tales there but I’ve never had the need to buy it. I’m not sure if I’d have the same luck at other cultural festivals, but someday I plan to find out. So, that’s my guide to finding folk and fairy tale books. If you know of any other places to find some I’d love to read it in the comments below. My next post might be a little different from the norm. It seems I’ve been nominated for some sort of blogging award. Anyway, see you next time.